Since 1802 brave men, and more recently women, have been rescuing and saving lives from the unpredictable seas along the coast of Whitby. The first Lifeboat station was established on the West Side of the town by Whitby Lifeboat Association and in 1823 a second Lifeboat was provided for the town, this time on the East Side. The first Lifeboats were around 30 feet long and had to be rowed by 10 oarsmen, imagine how difficult and treacherous this must have been for the crews. In February 1861 on a stormy and wild night, some 200 ships were wrecked along the East Coast. The Whitby crews were called into action 6 times. It was on the sixth call out that the crew of 13 attempted to rescue the crew of one of these ships with disastrous results. The lifeboat capsized under a wave, 12 of the exhausted crew of thirteen lost their lives. 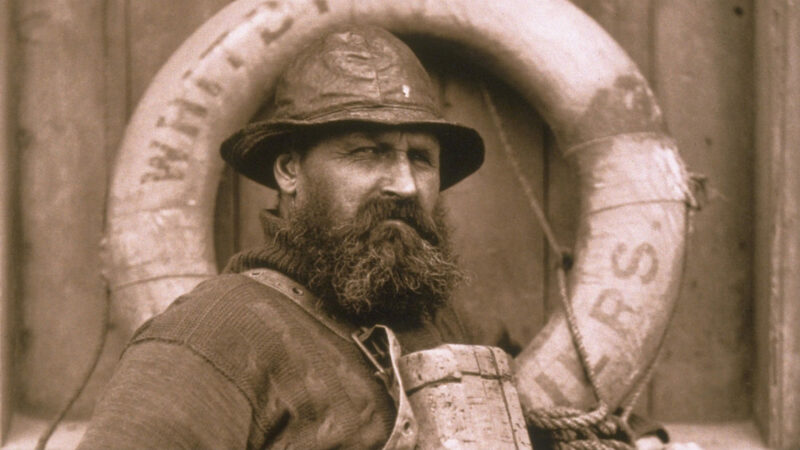 The surviving crew member, Henry Freeman is said to have only survived due to wearing one of the latest life jackets that was made of cork, which unfortunately the other crew members chose not to wear. Henry received a Silver Medal for his bravery and went on to help save 300 lives during his 20 years of service. Portrait of Whitby Coxswain Henry Freeman, sole survivor of the Whitby lifeboat disaster of 1861 thanks to a cork lifejacket. Photograph provided by the RNLI. In 1915 a new boathouse was constructed to house a motorised lifeboat. This saw a huge improvement in the safety and stability of the crews. Over the years equipment, vessels and technology have continually improved and progressed, offering todays crews much safer and efficient means to do their work, although of course they still put their lives in danger every time they are called out. As a charity, the RNLI depends greatly on the support and generosity of the public. The crews are volunteers, but money raised by the charity goes to provide training for the crew members, the upkeep of vessels and equipment. Supporters and locals organise events to help fund the lifeboats, and each year a ‘Flag Day’ is organised by the RNLI, this year it takes place on 28th & 29th July. The weekend is full of entertainment for all the family including displays of rescues at sea, stalls, rides and amusements and a vintage car rally. On the evening of the 28th there is the “Party on the Pier”, an evening of live music with a bar held near the bandstand. 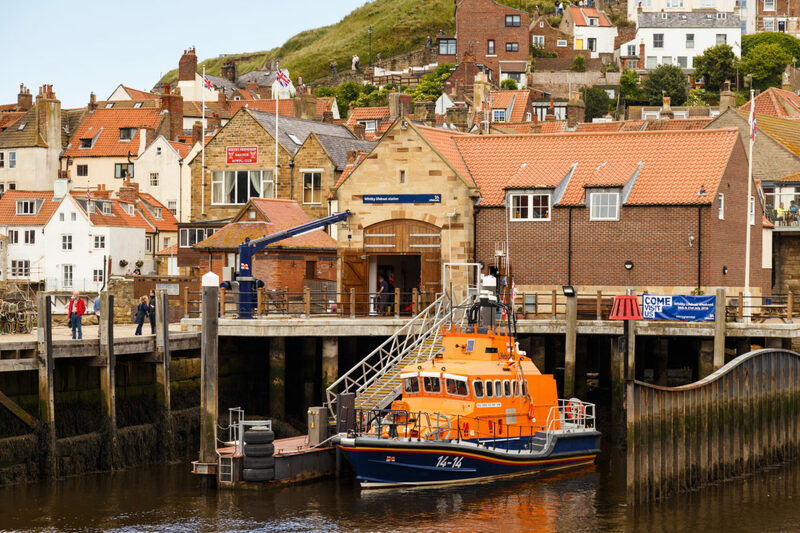 The Whitby Lifeboat Museum on Pier Road is open every day so why not go along and learn all about the daring rescues, the history of the RNLI and support and very worthy charity.